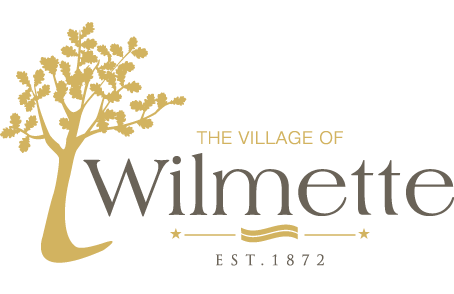 The Village of Wilmette accepts the payment of parking tickets, quarterly utility bills, vehicle stickers, and certain permit fees online. This service provides the public with a more convenient, easier way to pay for certain fees. There is no additional charge for this payment option, which accepts Visa, MasterCard, and Discover. Use our Citizen Self Service website to register an account. Once registered, citizens and businesses can link their utility account and business accounts and take various actions such as to pay a bill online, sign up for direct debit (utility customers only) and manage bill delivery options. Vehicle Stickers Program Information and FAQ can be found here. NOTE: You may purchase a vehicle sticker for the 2019 season in person at the Village Hall, 1200 Wilmette Ave., Monday – Friday from 7:30 a.m. to 4:30 p.m.
New this year you can pay your annual license fee online using Mastercard, Visa or Discover. Please have your application ready that was mailed to you. At the top right of the front face in the area marked “Office Use Only” is your businesses customer number. You need this number to access and pay your bill. Please note that you cannot currently make changes to your business account. A completed form along with any changes required must be submitted via email to ar@wilmette.com or by fax to 847-853-7642. Do not submit credit card information via email! You must pay online or mail in the completed application form. We will not be able to process your payment if you email us credit card information. The ability to make limited changes to your business account is anticipated for the 2019 license year. Click Here to pay your 2019 Business License Fees online. NEW online account management tools are here! Sign up for direct debit and receive your utility bills electronically. Download the account creation guide here and then proceed to the link below to get started! Click Here access your utility account online. General information about water and sewer and refuse bills is available by calling the Finance Department at 847-251-2700 or by emailing ar@wilmette.com. *Please know online payments are available the next business day from the ticket issuance date. Click here to pay your parking ticket online. General information about parking enforcement and parking ticket payment options is available by calling the Police Department at 847-853-7548. For tickets issued in 2018 that have a ticket number beginning with “P” (ex: parking ticket number is P-9999999), please go to https://wilmette.rmcpay.com to pay online. Click Here to pay permit fees online.